I was quite worried about what dish I would get for alphabets like E but thankfully not only did I get a dish, I got one of the easiest and tastiest dishes. Eerulli dose is nothing but the popular onion utthapam as it is known in Karnataka. The humble onion utthapam is so simple yet delicious meal as a breakfast or a light dinner. The utthapam can be made with the regular dosa batter or set dosa batter or the benne dose batter. It works out amazing with any one of them, My favorite version is making them when the batter 3 days old and gets a mild tangy taste in it. I usually add a few tomato pieces to my onion utthapam because the daughter loves it but tomatoes can be easily omitted. Oh! So droolworthy Sowmya. I just love it. Btw the uttapam looks fantastic and I don’t mind finishing it as my evening snack . I remember mom making onion uthappam with that sour left over batter. I haven’t tasted that unique flavour and taste in any other dishes. Adding tomatoes make it so colourful. What a great way to begin the day! OMG! I didn’t know the word EErulli. Good use of the word and love the uthappam to bits. Onion uttapam really came out awesome and perfectly cooked like the restaurant one. How can I forget my bangalore’s dosa idli and uttapam. That is the city I fell in love with forever. Looking very inviting. Awesome… my hubby loves his onion uttapam. He will not try any other variety. 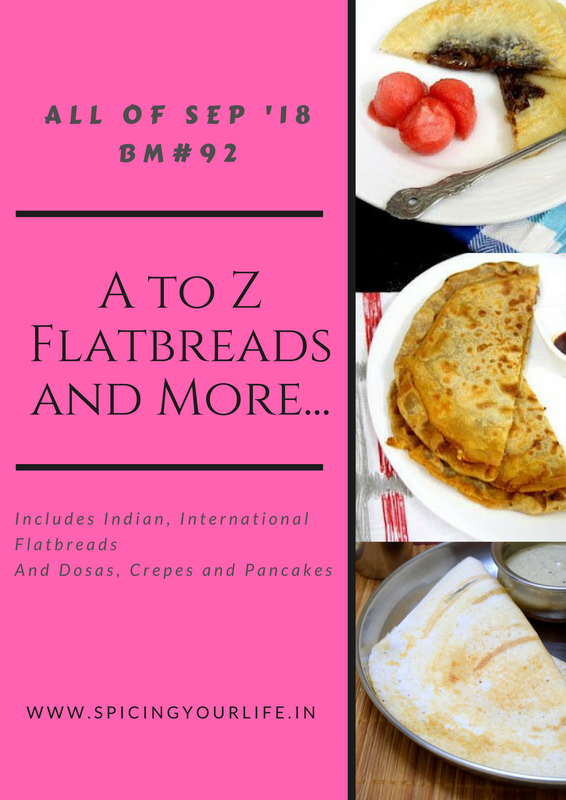 Not only am learning new varieties of batter flatbreads from you but the traditional names of dishes too. Super like, just love onion uthappams very much with coconut chutney. Omg, my mouth is just watering here. I just love these sort of simple aromatic dosas very much. hahaha sowmya this looks more like a AtoZ Karnataka Dosas hhaha..thats what even I thought I might end up doing..this is a great pick and a good twist! This is one of our favorite uthappam varieties! I add onions, coriander leaves and sprinkle idli podi and cook the uthappam. You pic looks really inviting Sowmya! That is a wonderful choice for the alphabet and Onion utthappam is my personal favorite. I add loads of onion and enjoy it. Looks so delicious! Looks so tasty and crunchy… perfect for mrng breakfast.